A starn-formin region in the Lairge Magellanic Clood, an irregular galaxy. Astronomy (frae Greek: αστρονομία) is a naitural science that studies celestial objects an phenomena. It applees mathematics, pheesics, an chemistry, in an effort tae expleen the oreegin o thae objects an phenomena an thair evolution. Objects o interest include planets, muins, starns, galaxies, an comets; while the phenomena include supernovae explosions, gamma ray bursts, an cosmic microwave backgrund radiation. Mair generally, aw astronomical phenomena that oreeginate ootside Yird's atmosphere are within the purview o astronomy. A relatit but distinct subject, pheesical cosmology, is concerned wi the study o the Universe as a whole. Astronomy is the auldest o the naitural sciences. The early ceevilisations in recordit history, such as the Babylonians, Greeks, Indies, Egyptians, Nubians, Iranians, Cheenese, an Maya performed methodical observations o the nicht sky. Historically, astronomy haes includit disciplines as diverse as astrometry, celestial navigation, observational astronomy an the makkin o calendars, but professional astronomy is nou eften conseedert tae be synonymous wi astropheesics. During the 20t century, the field o professional astronomy split intae observational an theoretical branches. Observational astronomy is focused on acquirin data frae observations o astronomical objects, which is then analysed using basic principles o pheesics. Theoretical astronomy is orientit taewart the development o computer or analytical models tae descrive astronomical objects an phenomena. The twa fields complement each ither, wi theoretical astronomy seekin tae expleen the observational results an observations bein uised tae confirm theoretical results. 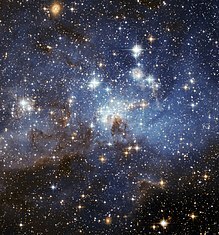 Astronomy is ane o the few sciences whaur amateurs can still play an active role, especially in the discovery an observation o transient phenomena. Amateur astronomers hae made an contreibutit tae mony important astronomical discoveries, such as findin new comets. This page wis last eeditit on 20 Apryle 2017, at 02:27.